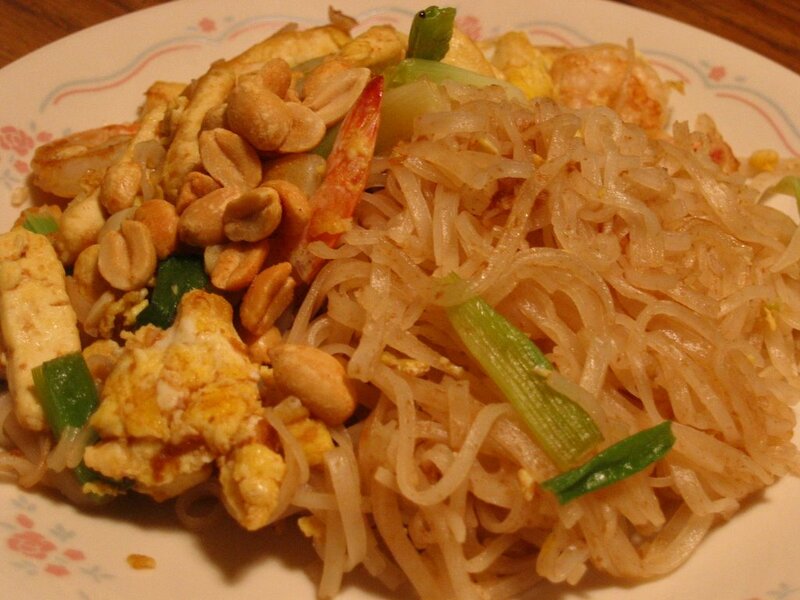 After lazing around for a whole day on Saturday, I decided to give Phad-Thai, a delicious Thai-style stirfry rice noodle that I love to eat a try. I was a bit sceptical at first because the recipe was not from a Thai, but rather from a Angmo's cookbook. Nevertheless, the last time when I saw it from the cookbook, I quickly gathered all the necessary sauces and pastes called for in the recipe...... And let them sat on my cabinet till this Saturday. 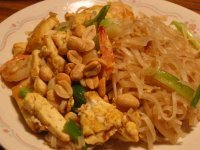 Though it couldn't rival the Phai-Thai I had from Singapore or Bangkok, it still turned out yummy and not too bad for a first timer. I think I will make it again sometime soon, I really got hooked on with the slightly sweet and sour taste.